It's the last day of Dr. Seuss week! I went to bed early last night and this morning, this book popped into my head, so I had to make it. 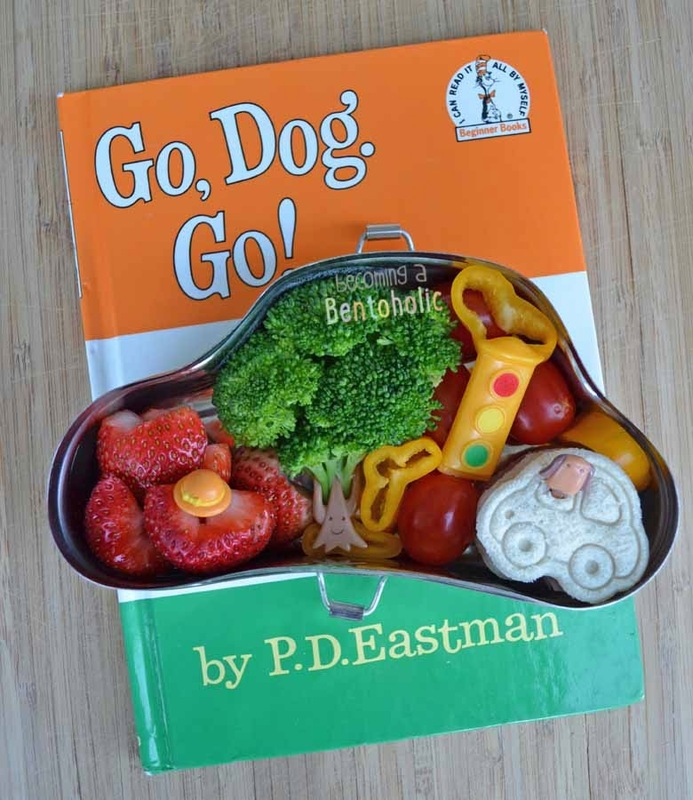 Although, the book "Go, Dog. Go!" is not written by Dr. Seuss it is part of the Cat in the Hat beginner book series. It is also one of my kids' favorite books. In this bento: Two little ham car sandwiches stacked on top of each other, the top sandwich has a dog pick poked into the driver's seat. Yellow pepper rings and grape tomatoes with a traffic light cupcake pick. Steamed broccoli with a tree trunk pick to form the the big tree where the dog party is! Sliced strawberries with a hat pick to represent that little dog whom asks "Do you like my hat?" throughout the book. Also packed but not pictured is a side cup of ranch dressing to dip all the veggies in. 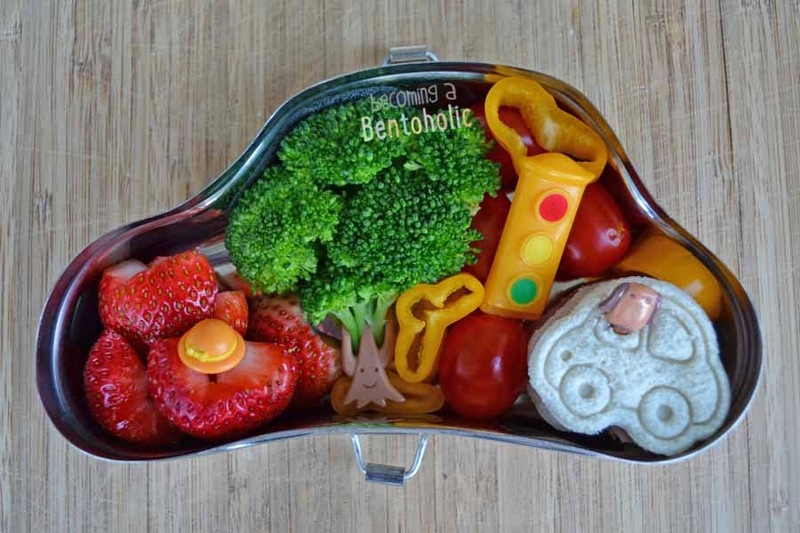 This bento is just the cutest, your broccoli tree is awesome!